Tropical North Queensland is one of the best destinations in the world for waterfall chasers. You’ll find gushing falls and tranquil natural swimming pools that will leave you speechless. People come from all over the globe to experience the serenity of the falls that comes from that flawless harmony between stillness and intensity, to swim in the revitalising waters – and to photograph nature’s most stunning backdrop. Be sure to visit these mesmerising sites when you are visiting Cairns. 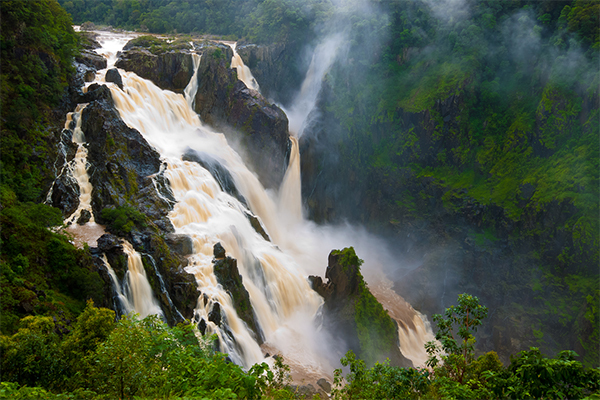 Barron Falls in Kuranda is nothing short of breathtaking. As the Barron River descends from the Atherton Tablelands down to the coastal plains around Cairns, it creates a magnificent display of water rushing over 125 metres of jagged rock. The falls are best viewed during the green season from December to March. You can view the waterfall by flying overhead by plane. This is an excellent way to catch the true drama of the falls. Barron Falls are also accessible by Skyrail. Enjoy the Kuranda Day Tour, where you can drift over the rainforest canopy before stopping at the station for Barron Falls. On a 17 km circular road near the Wooroonooran National Park, you’ll find these three gentle falls – Millaa Millaa, Zillie, and Elinjaa. 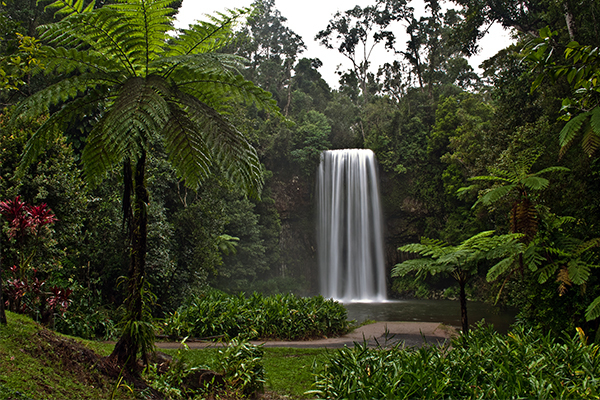 The serene setting of Millaa Millaa is the definition of a tropical paradise. Surrounded by lush foliage, colourful flowers, and iridescent dragonflies, this is a place you’ll always long to return to. This plunge waterfall is also a popular natural swimming spot. You can park, bring a picnic, then slip into the cooling waters and feel the soft spray on your face. Zillie falls are about 7.5 km further along the circuit. While there isn’t swimming access, you can enjoy the falls from the viewing platform and bring your camera for some magnificent shots. You should also be able to see flying foxes, which are known to live in some of the nearby trees. Another 3 km down the road you’ll spot the Ellinjaa falls. There is a grassy area for picnics and a viewing platform near the falls. Spend some time soaking in the mist from the falls and be sure to look for the turtles and platypus that can be found swimming in the plunge pool. 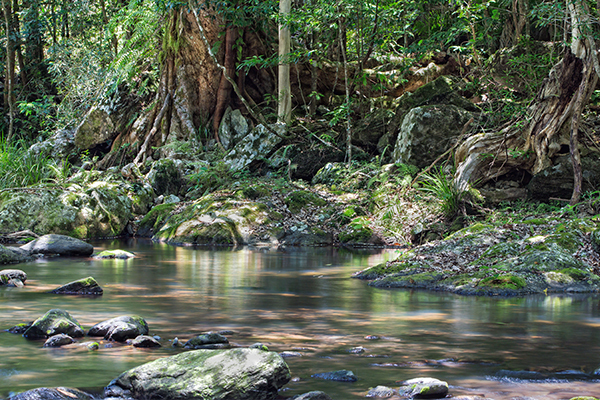 Outside of Cairns you’ll find Crystal Cascades, a family of majestic waterfalls and natural swimming pools. This secluded spot is fantastic for picnics and swimming in the refreshing waters from the falls. The water comes from nearby Lake Morris and is known for being incredibly clear and pure. What could be more wonderful than waterfall mist, butterflies, and idyllic plunge pools? Be sure to make the magnificent waterfalls of Tropical North Queensland part of your next adventure to Cairns. If you want to get some of the greatest shots of the gorges, enjoy one of our fantastic day tours through the beautiful rainforests!